Have you ever noticed that the smell of hot bread coming from a bakery tends to make you hungry? Or that smells of incenses coming from some relaxation or massage shops invite your mind to rest? Did you notice that the music filtering from clubs tends to give you a dancing mood? All those daily experiences might seem trivial. Actually, those are real marketing strategies that any good entrepreneur has to master. We have five senses: sight, hearing, touch, smell and taste. Most might believe that sight is our best sense as it is the one we seem to use to navigate in our environment. The truth is more complicated than that. Hearing and smell are our most developed senses. But everyone's different: some are more sensitive to a sense or another. It all depends on criteria such as our environment or our natural preferences. This is this specificity we will try to exploit with the marketing of senses to attract customers. The two senses constantly stimulated by marketing are obviously sight and hearing. Posters, TV commercials, buses ads, radio, pamphlets,... our eyes and ears and constantly stimulated by advertising. In his article (in French) "Publicité, part de cerveau disponible... et libre arbitre", Arnaud Pêtre studies three possible interpretations of advertising pressure: narrow, medium and large. Depending on what we consider as being exposed to ads, the number of ads we "receive" per day varies between 350 and 15000. With such number, better say there is a constant war for more "available brain attention" between advertising masters. If this market is mainly the playground of big companies (in France, 30 seconds commercial on the first channel costs 95.000€: few companies can handle such cost! ), modest companies certainly have local alternatives, sometimes even more interesting. The visual market is over saturated: you couldn't leave your home without instantly facing ads, everywhere, all the time. Even at home, visual ads never leave you alone. But here comes the magical local alternative: senses marketing. Here I am talking about "local marketing" for a good reason: currently, the three less stimulated senses by advertising are simply un-easy to stimulate globally. Even if we have been talking about "cinemas with smells experience" for years, touch, taste and smell are still far from our daily experience of advertising. Nevertheless, if it is difficult for a company to export smells or tastes on platforms such as TV or newspapers, things can be very different locally. I was mentioning earlier the smell of hot bread in front of bakeries. Do you have any idea how many of those bakeries simply use "odor diffusers" to stimulate their customer's feelings? An odor diffuser smartly placed in front of your restaurant, bakery, supermarket can have tremendous impact on your sales by stimulating people's appetite. A smell of incense, a relaxing music or the sound of a river can as well be great vectors of stimulation for shops such as massage place, relaxation products store or yoga clubs. But please keep in mind that all customers are different. You must find smells, tastes, sounds that are familiar to your target. The purpose is to reach the unconscious of people and therefore better stimulate their memories instead of provoking new emotions. This is the reason why numerous TV ads use famous songs or music: those are able to catch instantly people's attention. Generally, when you hear a song for the first time on radio, this one does not "stick" on your mind. Later, after hearing it for a few times, this one will loop in your head. Here is the same idea: if you start with a song that people already know, you make sure the message sticks from the first hearing. The idea behind senses marketing is to reach your customers on a different level, less aggressively than does visual advertising. Most visual ads praise the benefits of a product or its exceptional price. This message is usually blocked by people's unconscious. When you use an odor or a sound as a vector, you access directly people's subconscious, connecting directly to their memory and feelings. 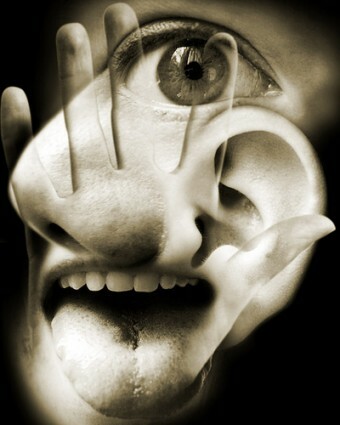 It is certainly more difficult to evaluate the effects of a senses marketing strategy than those of a traditional one. However, using senses marketing is more pleasant for the consumer, less costly and certainly more efficient. It is now time to think about your own activity and the level on which you could integrate such strategy to your own situation. The more senses you please, the more appealing is your product. Play with colors, textures, smells, shapes, sounds, tastes, music, etc. Those feelings you trigger will enhance your customer's experience. Direct sales aren’t left on side! Senses marketing is before anything else a direct sales strategy. The real function of senses marketing is in human relationships. This is where senses marketing makes... sense! Each customer is fundamentally unique. Regardless the nature of your business - B2B or B2C - senses marketing is all about revealing the real nature of your customer to reach him more efficiently: is he sensitive to sounds? smells? touch? In order to define it you will need to pay attention to small hints left by your interlocutor. If he tends to touch you (i.e. hits your shoulder), he probably is someone who needs to "touch" things to feel them. It would be a good idea to let this person "touch" your product instead of demonstrating it yourself. Talk about the used materials, the textures. Focus on this specific aspect of your product (without forgetting about the rest, indeed). If he uses expressions such as "I smell something fishy" or if he tends to breathe deeply when he is thinking... don't look no more, he is sensitive to smells! Try to link your product to this field and use positive phrases involving vocabulary related to smell. If he refers to your product with phrases such as "I can see its potential", if he studies your product in terms of colors and design, you are facing someone obviously sensitive to sight. You will have to let him "see" what you are best in. Demonstrations and videos will definitely be a hit. There is no necessity to go further in the demonstration, you got the concept. The key idea is to find out what people are sensitive to and use it to reach them in the most efficient way possible. Your next step will be to target such customers precisely. And for this, I invite you to read my article "Target your customers precisely with Buyers Persona".